Infographic directories are a great way to get natural backlinks for your search engine optimization efforts. The idea is to create a great infographic that will be shared, liked and embedded from infographic directory visitors in order to increase your social signal with high quality backlinks. While many directories are not your best bet to pursue for backlinks because of their shaky reputations, the right directories can offer significant weight in your backlinking efforts. Because infographics are the hot new way to get information out, due to the increasingly importance of offering visually rich content, creating infographics to submit for directories can have benefits similar to article marketing. To make sure you have the best infographic, make sure the information flows in a sort of way that will make sense to the broadest number of people who will be most likely to view it. Most infographics flow from top to bottom and some include a left to right or wavy way of presenting the information to make it more texturally interesting. How you design yours will depend a lot on the information you are presenting and your target market. A younger target market will appreciate more twists and turns while an older or more conservative market will appreciate a more simple flow of information. When you have a flowchart style organization to your infographic, you can add a color scheme. Assigning contrasting colors to each part of the flowchart information will make it more visually appealing and also give it the type of organization that color coding offers. After you have the flow and colors, you can choose graphics that represent the information. Using high quality graphics that will translate well for the information you want to feature are going to work out the most successfully. When your infographic is complete, you are ready to start to submit it to the infographic directories. 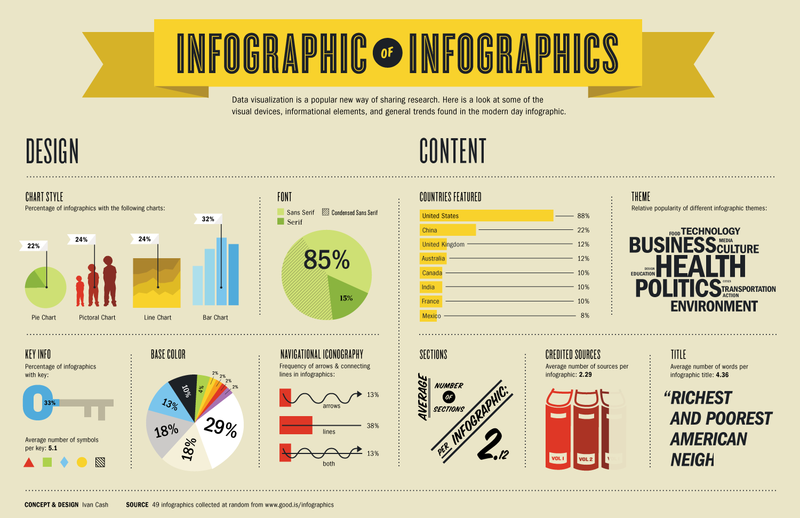 Including a compelling title and engaging summary of your infographic will further enhance your efforts. Take time to review each infographic directory that you are considering submitting your infographic, and send completely original versions of your infographics to each directory to avoid duplicate content. When you find out which ones will be the best fit for your infographic topic you can either contact them first to confirm they agree to considering your submission or go through the process of submitting your infographic depending on what each directory’s criteria is.